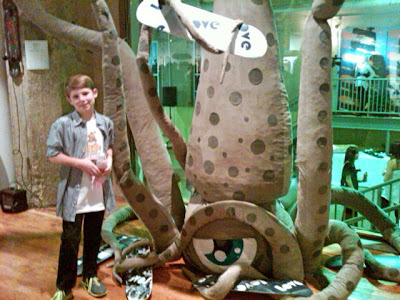 Little Man and I had a super-fun date Saturday night. 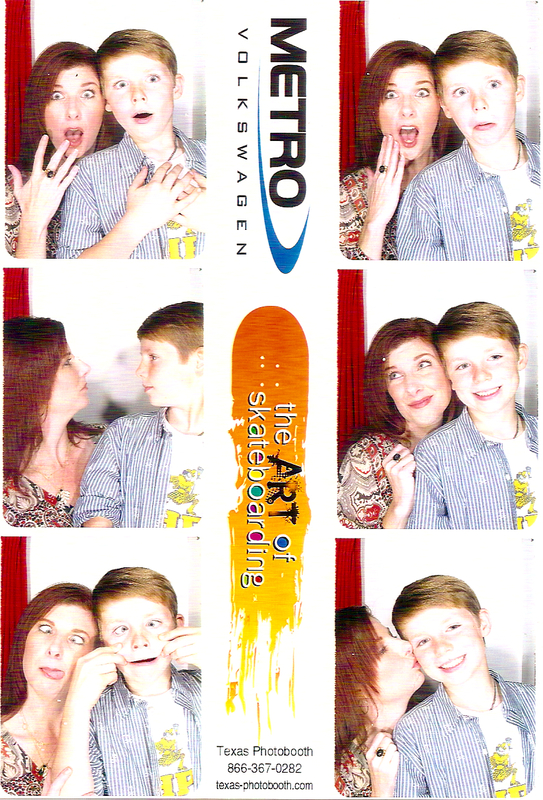 The event was the 3d annual The Art of Skateboarding at South Side on Lamar. 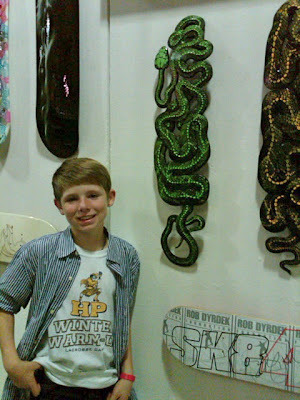 It was an evening of spectacular art, skateboarding, cocktails and fun benefiting Texas Scottish Rite Hospital for Children. Throughout the evening guests could bid on and purchase their favorite artist's skateboard and limited edition Vans shoes. 175 skateboards were on display, designed by either a celebrity artist, clothing designer, graphic designer, or a local artist. As a Mom, I love events like this that I can share with my son. 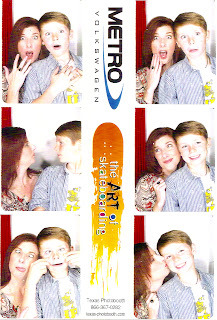 Jackson loved the eclectic crowd, photo booth, colorful art and endless supply of Vitamin Water (sponsor). 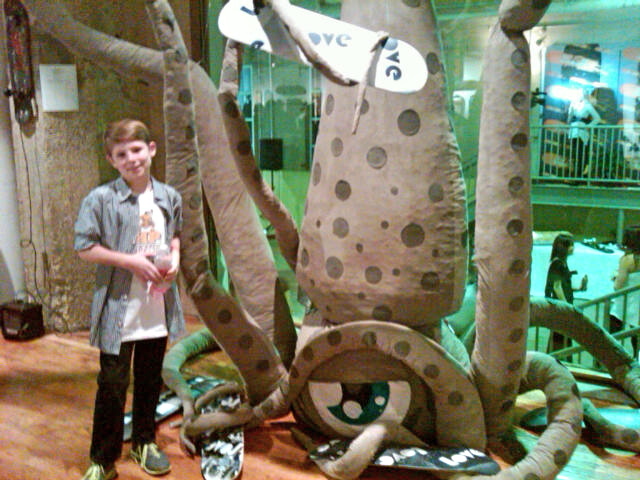 It was great to show him that appreciating art doesn't have to mean visiting a stuffy museum. BIG kudos to my friend, Bri Crum, of Plan b PR for executing a fabulous event.